We’re making the experience of using Dérive app a better one, as we’re ramping up for Dérive Day on September 9. 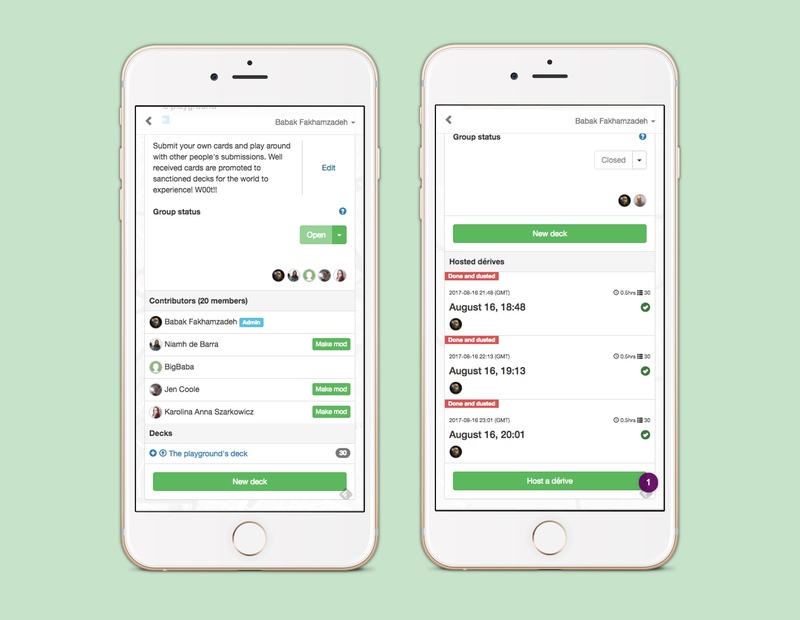 Here’s what’s changed and improved in Dérive app. 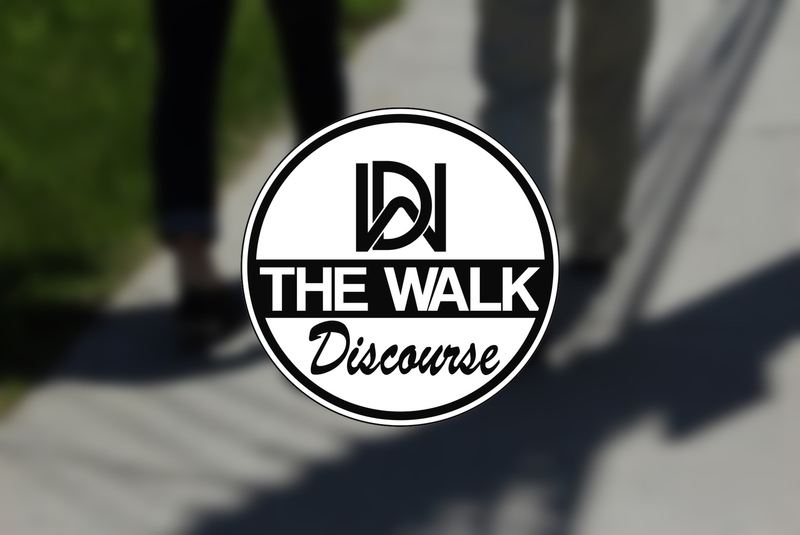 San Francisco based artist Astrid Kaemmerling kicks off The Walk Discourse, a series of walkshops, in and around the San Francisco bay area, on September 9, Dérive Day 2017, by hosting a shared dérive as part of Dérive Day. On 9 September 2017, explore your city with others around the world through randomly generated and synchronised tasks that are simultaneously drawn whether you’re in Rio or Rome, Kampala or Kuala Lumpur. 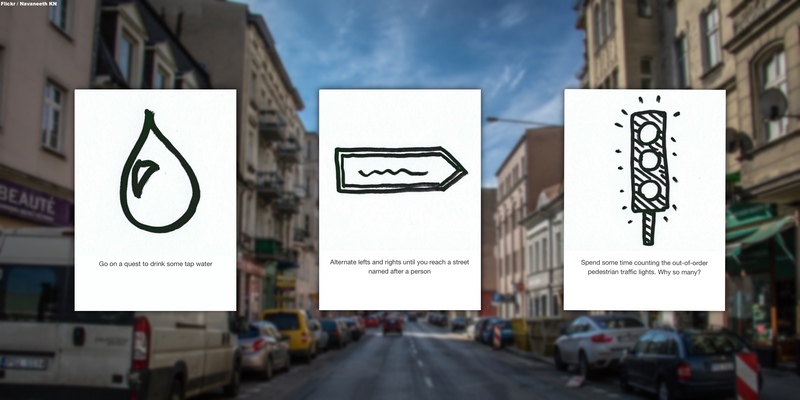 Karolina and Ania Szarkowicz give us a new European deck of task cards, for the Polish city of Poznań. 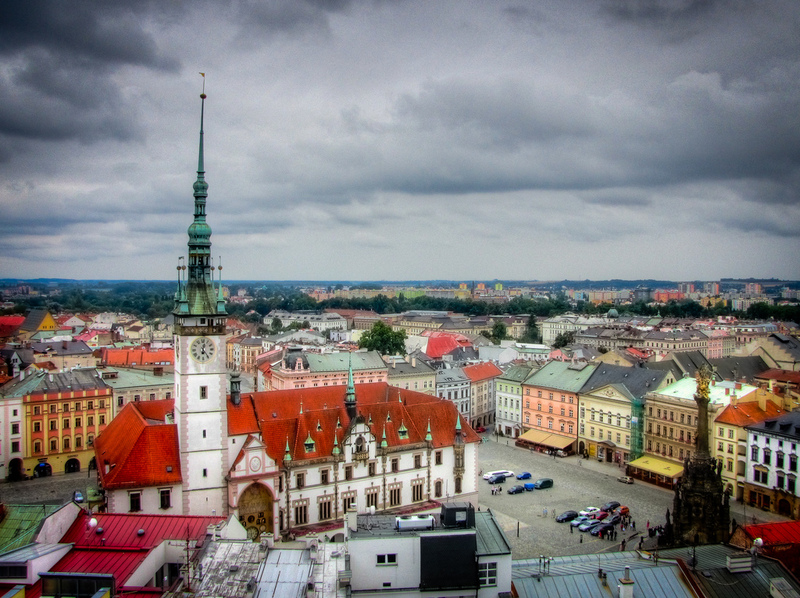 Amongst the oldest and largest cities in Poland, Poznań is known for its renaissance old town, its dialect, and the traditional Saint Martin’s croissants. You should try them out. Pro Arts Gallery successfully wrapped up its two month program of The New Situationists. 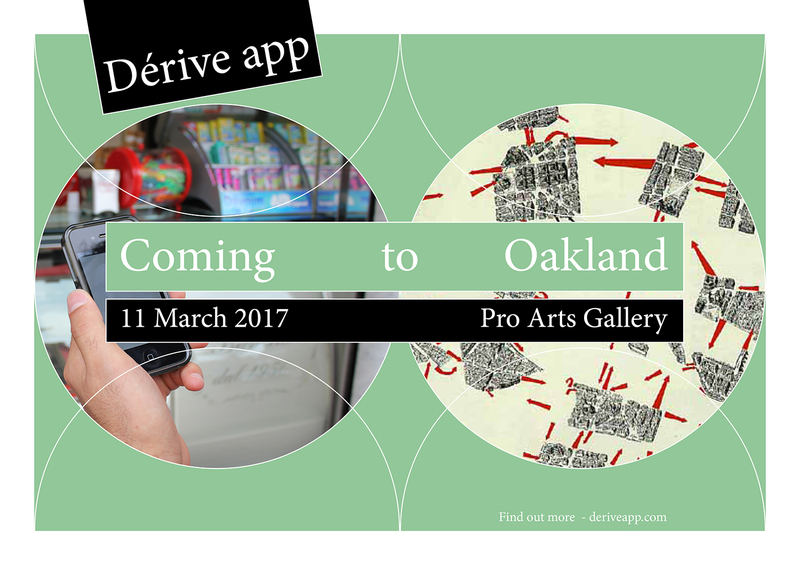 During this period, Dérive app and Pro Arts worked on creating a deck of task cards for Oakland, California, home of Pro Arts, which now is available to the general public. Looks like map’s back on the menu, boys (m/f)! 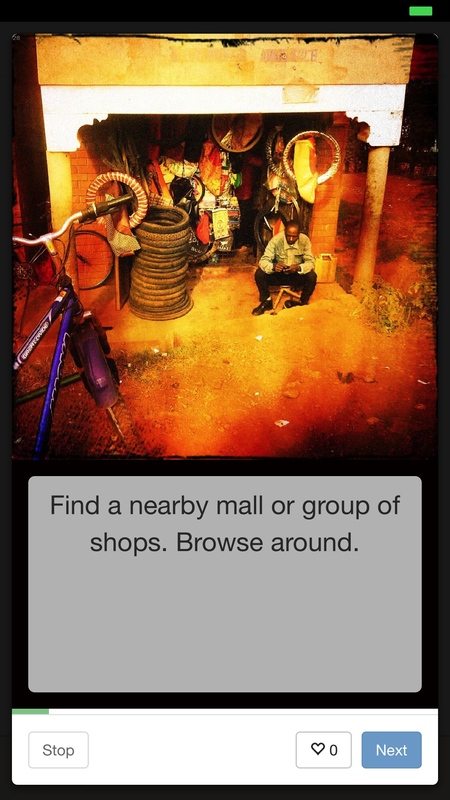 When you allow Dérive app to keep track of your location, you can find a map of your meanderings on our website. 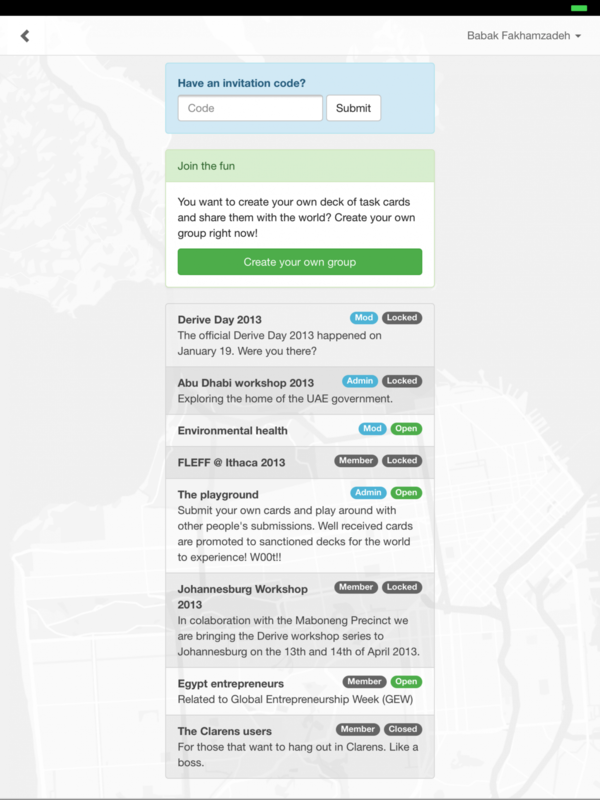 As of today, Dérive app now lets you create your own decks of cards and share them with others. Collaborate on decks by allowing others to submit cards and artwork, and by having your contributors vote on what are the best submissions. 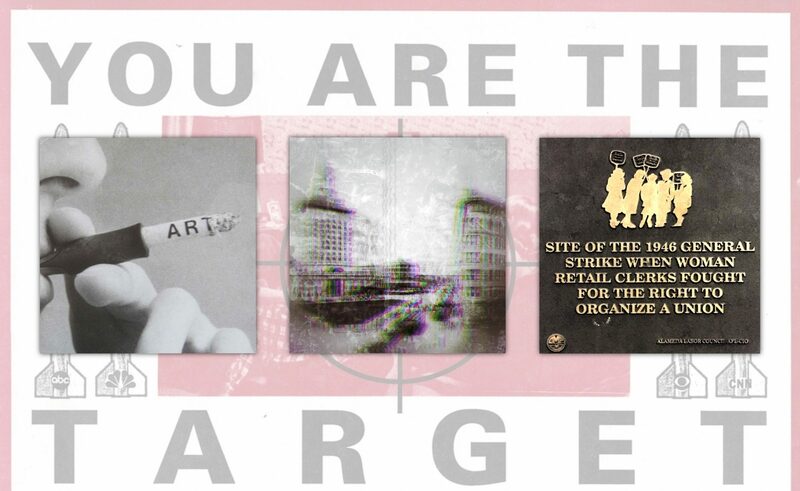 In Oakland, California, ProArts is hosting a seven week event called ‘The New Situationists‘. On March 11, Dérive app will host a workshop, after which, for six consecutive weeks, participants will collaborate in the creation of location-specific deck for Oakland. If you’re in California, consider stopping by. Hot on the heels of our iOS release, Dérive app is now also available for Android. 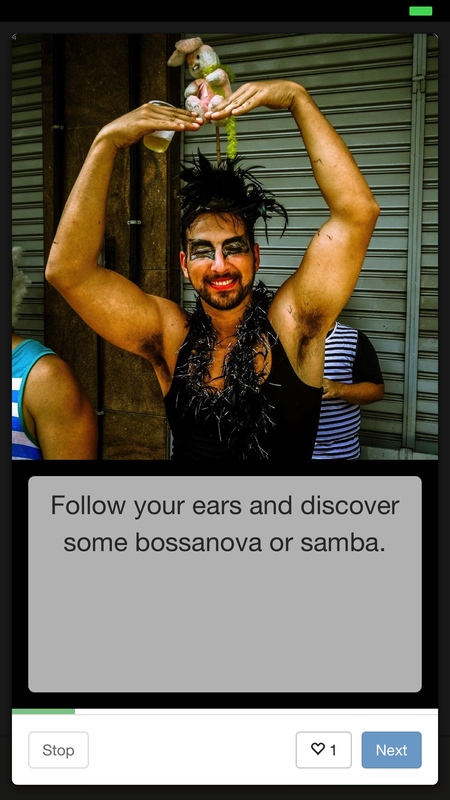 Just in time for Carnival, and to celebrate the release of our iOS app, Dérive app now has a location specific deck for Rio de Janeiro. Dérive app is now available for iOS. Download Dérive from the Apple App Store.